Note that there is also a 4-port version of this hub! You can find it here. What is it and why did you make it? I couldn't assemble it yet. How small is this , Ohhhh My God. This product is working great in my prototypes. 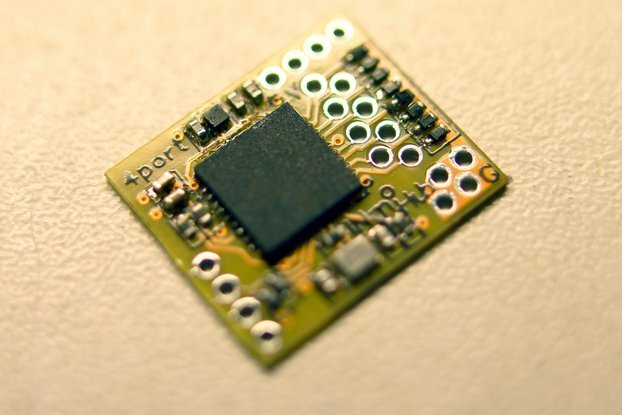 Due to the tight spacing, it's moderately difficult to solder. If it were offered in a 2.54mm pitch, I'd probably get that instead for my next order, but I'm very happy with the ones I've bought. 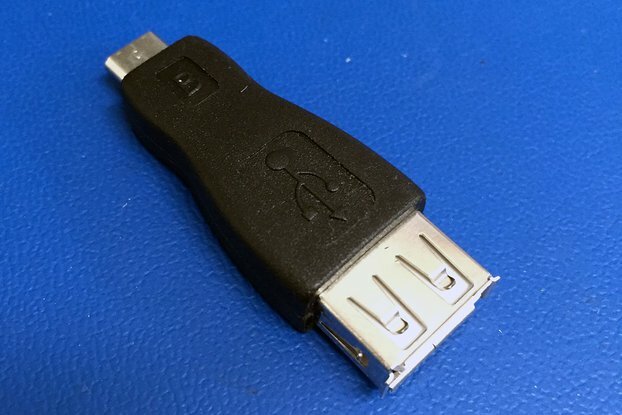 Used as a port Expander on a raspberry pi zero. Great working board. Intuitive and easily approachable. Keep in mind that the holes are tiny. Shipping was quick and product appropriately packaged in antistatic bag. I have just used the NanoHub for make a kind of Y USB cable. Even if the board is very small and thin, the soldering was easy thanks to the through hole pins. The board worked at the first time without problem, no driver issue or software problem. Shipping in Italy was fast, just 1 week. Works as expected, no issues so far. It's a really tiny board: amazing work fitting this into such a small board. - Easy to solder ribbon cables. - Not so good with higher currents. The hubs are really really small. Once they arrive you really realize how small they are. Hence the holes to solder the wires are also really small and close together. I've used a older soldering station and I've destroyed some. So, when you do the work, be sure that you've the right instruments. Overall, they are perfect for custom projects where the space is a problem. They take really just a bit of space, compared to any other hub; I've the 2 ports version, but the 4 ports, what normally you can buy around, it looks just a bit bigger. Finally, the seller is really friendly and helps you with any question. If I'll need such a small hub in the future I know where to buy them. So this is one of those things that you kinda know is going to be small, I mean it says so in the name "Nano". I really wasn't prepared for just HOW small this thing is! It has been great I was able to fit it into my project with no problems at all because it takes up no space at all. This does lead to one thing because of its size, connections. As it is so small the connections are corrispondinly tiny. You need a small soldering iron to get into it. Kinda wish it were a little bigger with 0.1 pads but that's a personal thing. It is a great product. I have purchases several 2-port NanoHubs and been quite pleased with the quality. I've never received DOA units. The seller provides very timely support as well. Streaming HD video at 29FPS is no problem for these little guys. They have stable performance unlike other USB devices which can be finicky. PS - spend the extra bucks and get tracking on your shipment. That way you can be angry at customs and not the seller. Update - the customer service is Excellent! I am so appreciative of all the fast and thorough responses I've received. Update 2 - be very careful about supplying only 5V power and nothing higher. Muxtronics: thank you ! 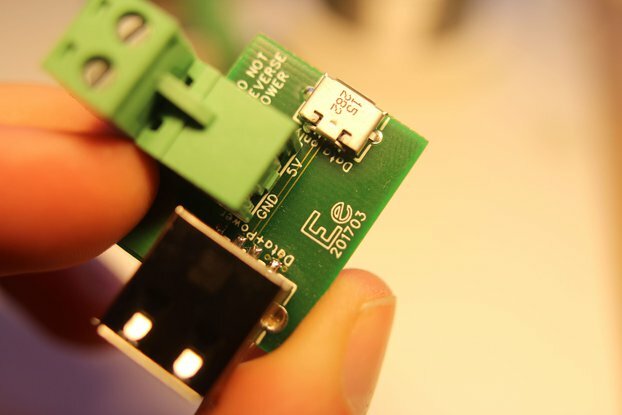 .. works great I use this hub in many projects, always part of my pcbs (soldered the hub in sandwich), great hub ! - to make it even better maybe change the grid of the holes from 1.5 to 1.27 mm, this would allow to use standard pin connectors. - question (maybe stupid, maybe I miss anything?) how to use this hub in a active way ? can I connect any Vcc 5V power adapter ? if yes, do I have to connect to usb in (via a diode to avoid backflow in usb in) or using the external Vcc instead the V of the 2 out ports ? all help welcome ! THX ! Exactly what I needed. I work with a PSOC MiniProg, which doesn't carry UART, so I have to add on an FTDI for serial, so, with this tiny hub, I'm able to have a small, easy to carry programming package. I had to improvise on the thru-holes, using headers on top and bottom, but are there any recommendations in the future? These are really nice for the price. They are really tiny. If your soldering skills aren't up to snuff, make sure you practice on something else first. In the end, when installed properly these are amazing and do exactly what you would expect. Non-DHL shipping to the US is glacial, but not the fault of the project. Documentation at the time of writing does not include much in the way of cabling information. on the store page were included on the documentation page. Communication was polite and helpful. you should consider not making your own. Get a pre-made cable and snip the ends off. at making my own cable. Love this little thing! Perfect for my keyboard project. Thanks for making this product, it's such a great, simple tool. I'm using it in a mechanical keyboard case so I can embed my wireless mouse receiver. First of all, the shipping is faster than my expectation. Great! After I got the product, that's wonderful and it is really small size. Actually, I looked for the small USB2 hub board some time already for the modification of my laptop. After I installed it into my laptop, the size is not a problem at all to install it, it works without any problem. If you would please send me a DM with your order number, I will replace your unit ASAP. For next redesign of the product, I propose to use rather 1.27 pitch for the connectors. I managed to solder angled headers with 1.27 pitch on the 1.5 pitch connectors and could connect 1.25 molex sockets but it requires more time and more error-prone. Having 1.27 would make such use case easier. It's smaller than you can imagine! My Nanohub just arrived and oh boy, it is FREAKING SMALL. I'm not a technical expert (hell, I'm a novice hacker at best) but it seems well put together and comes with clear labeling. I'm a little scared of soldering this as the holes are so very very tiny but I'm sure I'll get there in the end. Muxtronics provided EXCELLENT customer service, replying to my silly questions in a very fast time frame. Very happy, will definitely buy from you again in the future! I used both the 2 port and 4 port versions. I connected 2 wifi adaptors and a BLE adaptor to a RPi Zero with the 4 port, and 2 wifi adaptors with the 2 port version. Anecdotally, the 2 port version appears to get warmer than the 4 port version, even when driving a smaller load. I haven't had any power issues and the hubs work out of the box with Raspberry Pi Raspbian. Works as described with no issues. The soldering is a little messy but works, and perhaps the edges of the PCB could have been cleaner, but this is really overly-critical of a fine product. If I have future projects requiring a small USB hub, this will be the first place I come to. Fantastic communication with the seller. Very valuable troubleshooting help. Lesson learned: Never trust the colors of USB cables, green/white might be mixed up! The first time bought in your shop. You remarkably work. Fast delivery, quality goods.